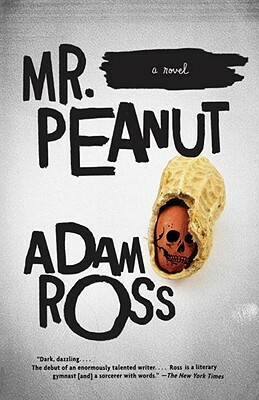 Mesmerizing, exhilarating, and profoundly moving, Mr. Peanut is a police procedural of the soul, a poignant investigation of the relentlessly mysterious human heart. David Pepin has been in love with his wife, Alice, since the moment they met in a university seminar on Alfred Hitchcock. After thirteen years of marriage, he still can’t imagine a remotely happy life without her—yet he obsessively contemplates her demise. Soon she is dead, and David is both deeply distraught and the prime suspect. The detectives investigating Alice’s suspicious death have plenty of personal experience with conjugal enigmas: Ward Hastroll is happily married until his wife inexplicably becomes voluntarily and militantly bedridden; and Sam Sheppard is especially sensitive to the intricacies of marital guilt and innocence, having decades before been convicted and then exonerated of the brutal murder of his wife. Like the Escher drawings that inspire the computer games David designs for a living, these complex, interlocking dramas are structurally and emotionally intense, subtle, and intriguing; they brilliantly explore the warring impulses of affection and hatred, and pose a host of arresting questions. Is it possible to know anyone fully, completely? Are murder and marriage two sides of the same coin, each endlessly recycling into the other? And what, in the end, is the truth about love? Adam Ross lives in Nashville, Tennessee, with his wife and their two daughters.